Welcome to the tenth installment of PuzzleNation Book Reviews! 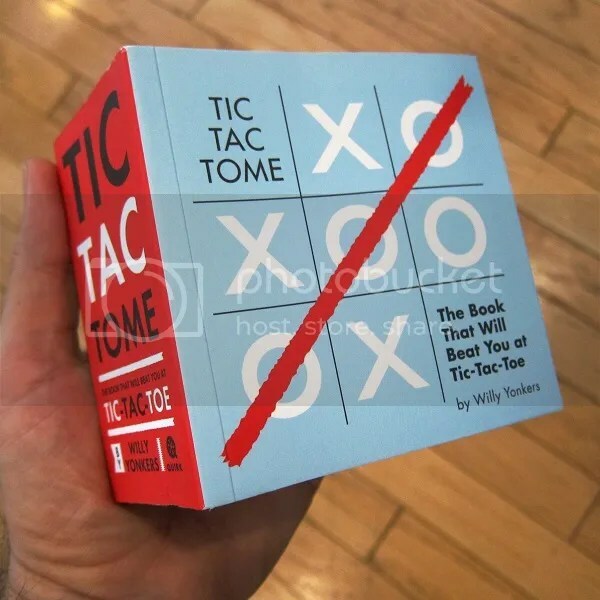 Our book review this time around features an interactive challenge, as we match wits with Willy Yonkers’ Tic Tac Tome: The Book That Will Beat You at Tic Tac Toe. Plenty of books can make you feel stupid, but it’s far more rare for a book to actually defeat the reader in one-on-one combat. 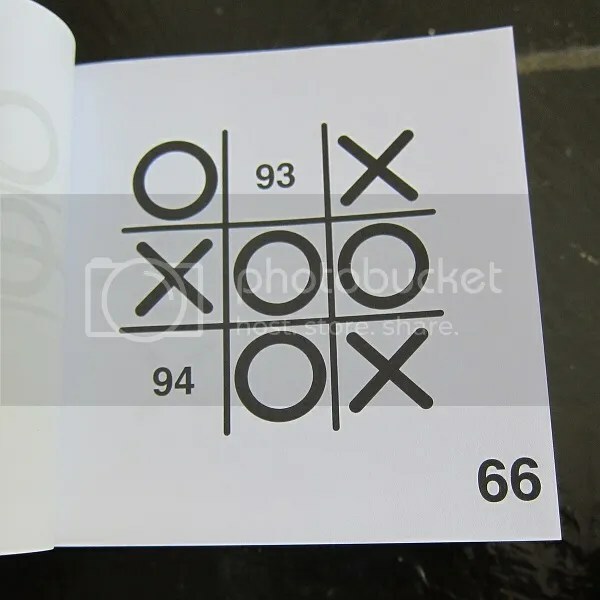 Tic Tac Tome pits the player against the endless permutations of Tic-Tac-Toe, challenging you to avoid losses and draws and seek out the lone path that means victory against the diabolical book. Playing is pretty simple. You choose where to place your X and turn to the page number indicated. On that page you’ll see your mark, as well as the book’s countering move. You then select your next move, and turn to that page number. And repeat until you’ve won, lost, or reached a draw. Unfortunately, I did encounter at least one error in the book (two pages had been misassigned or swapped), so be aware: there could be more errors lurking within the fourteen-hundred-plus pages of the book. That being said, I enjoyed sparring with Tic Tac Tome, and I suspect most puzzle fans and Tic-Tac-Toe enthusiasts would also enjoy. This is prime coffee table book material.